Sharing the Yin Yoga & Meditation practice has become Sagel's love project. Beginning when the Universe slowed her to a stop with a concussion, as both practitioner and teacher, she has experienced first-hand and seen in so many the powerful healing, wholeness, and balance these complementary practices bring- Yin bringing space, mobility, and restoration to our connective tissues, and Meditation bringing clarity, insight, and steadiness to the mind and heart. Sagel's teachings are rooted in Yogic, Buddhist and Daoist philosophy, and her classes designed with the intention of developing mindful awareness and compassionate observation as tools to use through the day to be more fully present for our lives with the naturally wise heart we each carry. She cultivates a welcoming and supportive environment with a light touch, incorporating guided meditation to help practitioners of any experience level explore these life-shaping practices and continue to uncover and enjoy the infinite possibilities of an authentically joyful life. A M.Ed. 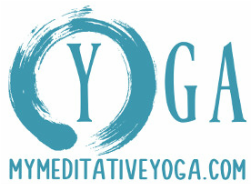 & E-RYT 200, Sagel leads Yin Yoga, Mindfulness Meditation & Yoga Nidra Teacher Trainings and Workshops and is deeply honored to offer these transformative practices to practitioners across the Northeast and at Kripalu Center. Sagel has completed Yin Yoga teacher training with Master Teacher Bernie Clark, two additional Yin teacher trainings, and has studied Mindfulness Meditation with Zen Master Thich Nhat Hanh, Jack Kornfield, and Tara Brach. 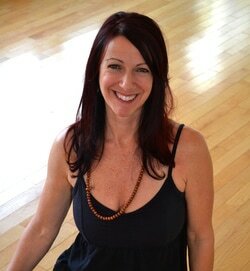 She's completed two 200hr Vinyasa Yoga teacher trainings and is Yoga Nidra and Reiki I certified.